“When the student is ready, the teacher arrives.” That’s what it says in the I Ching, and that’s how it has worked in my life. 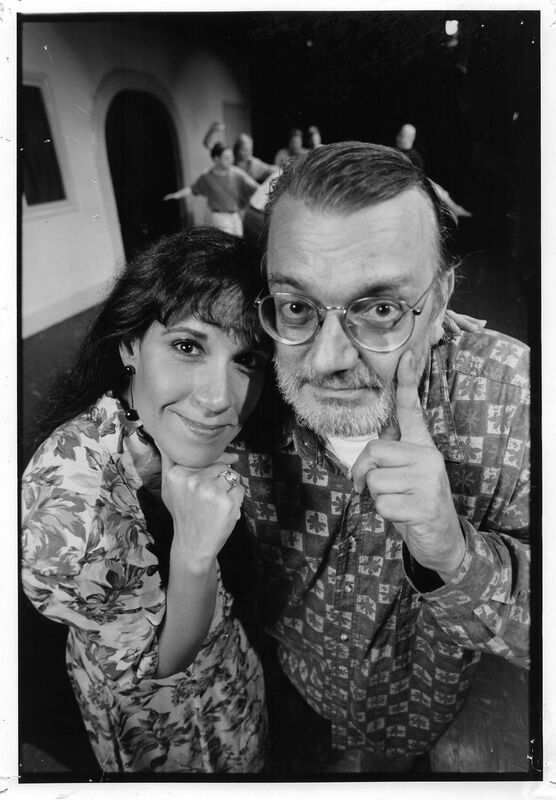 I was certainly ready for a teacher—and a new direction—when I began taking classes with Del Close at the ImprovOlympic in the summer before I turned 27. I had dropped out of graduate school and returned to Chicago the previous January, broke and broken, all my belongings (books mostly) packed into six boxes and stored in a friend’s basement in Lincoln Park. I was utterly lost. So for six months I did as little as possible. I worked when I had to, as a temp downtown, and otherwise I read, wrote in my journal, and road the El endlessly, watching the city slide by. Then I saw the ad in the paper. A small ad announcing that Del Close was teaching classes in improv. At the time I knew only three things about Del Close—he was famous, he used to direct at Second City, and he was somehow connected to (and important to) a whole bunch of comic actors I idolized, among them John Belushi, Bill Murray and Betty Thomas. I called for information and before I knew it the overly energetic woman who answered the phone—sounding more like a used-car salesman than a teacher—talked me into signing up. That woman was Charna Halpern. And several weeks later, I began studying improv with her, not Del Close, in a small meeting room on the second floor at a place called CrossCurrents, a bar with a cabaret space on a poorly lit street in a then-seedy neighborhood around the corner from the Belmont El stop. The class was an “Intro Class” meant to weed out students without staying power before we moved on to Del. At the time I resented the fact that I had to study with this person I had never heard of, only a few years older than me, not famous and definitely NOT Del Close, before I got to study with the real deal, the wizard, the great and powerful Del. In retrospect I realize I learned at least as much from Halpern as I did from Del. Because Halpern was a woman full of plans, and she talked about them—in great detail—with everyone who would listen. This was just the beginning. That her tiny theater, the ImprovOlympic, was like the Compass Players, an early version of something that was going to be truly wonderful, not right away, but soon. She was going to have her own theater space. She was going to have a large staff of teachers. She and Del were going to revolutionize comedy. She and Del were going to create a national improv competition. There were going to be branches of her theater across the country. At the time I thought she was, at best, a skytalker, if not an outright fraud. But still it was exciting for me, as someone who had no plans at all, to see someone who really seemed at times to believe her own talk. And to see her play every angle trying to make it happen. The weird thing is that much of what she talked about doing back then, she has since done, and more. But we didn’t know that at the time. In time I got to study with Del, and I found Del to be as crazy, unbelievable and inspiring as Halpern. Like Halpern, he loved to talk. Classes were two hours long and often a good quarter of that time would be taken up with Del talking before we went up on the stage to perform. Much of the time he talked about the many people he had met in his life. He loved to drop names. Not just famous names in comedy, though he did that a lot. But also famous pop-culture figures, especially people from the sixties. Later I heard students started playing what they called the Del Game, where you would supply a famous name, a mind-altering substance and an exotic location, and the other person had to come up with a crazy story that incorporated all three (as in “I remember the time I was sniffing glue with William S. Burroughs in Tangiers when…). The funny thing is that for all Del’s talk, we did improvise. A lot. Del used his class for lots of experiments with long-form improv. We, his students, cooperated willingly in these experiments. And what we didn’t do in class, we did in the late-night shows we were invited to perform in at CrossCurrents’ cabaret. I was quickly sucked into the world that Del and Charna had created. A community of improvisers who, in a safe, protected, hothouse atmosphere, free, for a time, from the pressures of getting a paying gig at, say, Second City, could really play. In this world, performers flowered. I personally saw John Judd (who just played Scrooge at the Goodman) turn from a guy so quiet on stage you could barely hear him into a confident, creative, clear-throated improviser. I woke up at the ImprovOlympic. Grad school had shut me down; Del and Charna started me up again. I did not follow the path into performing some of my fellow students did. (I’ll drop the names of a few of the better-known actors who were there when I was there: David Pasquesi, Chris Farley, Mick Napier.) But I did learn how to trust my creative side, and to follow my muse wherever it leads me—to playwriting, journalism and, ironically enough, theater criticism. When the student is ready, the teacher arrives.